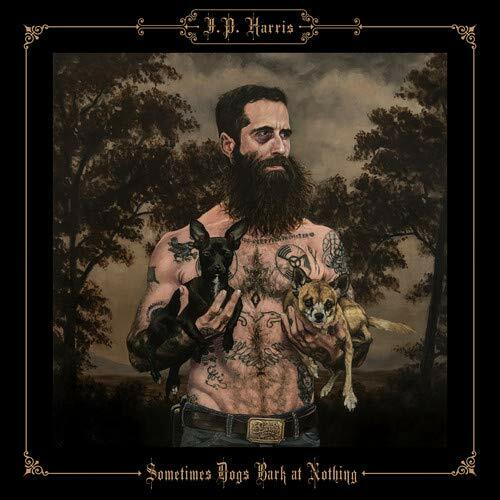 J.P. Harris has a backstory that should enable him to write classic country tunes for the foreseeable future. Harris spent a decade drifting from job to job with farm labourer, woodsman, carpenter and shepherd listed on his curriculum vitae. He still considers himself a carpenter who writes songs but with ‘Sometimes Dogs Bark At Nothing’ I’ve a feeling Harris is going to be a little too busy to worry about his dowels or dovetails anytime soon. You shouldn’t judge a book by its cover but ‘Sometimes Dogs Bark At Nothing’ just looks right. The sleeve art is perfect. 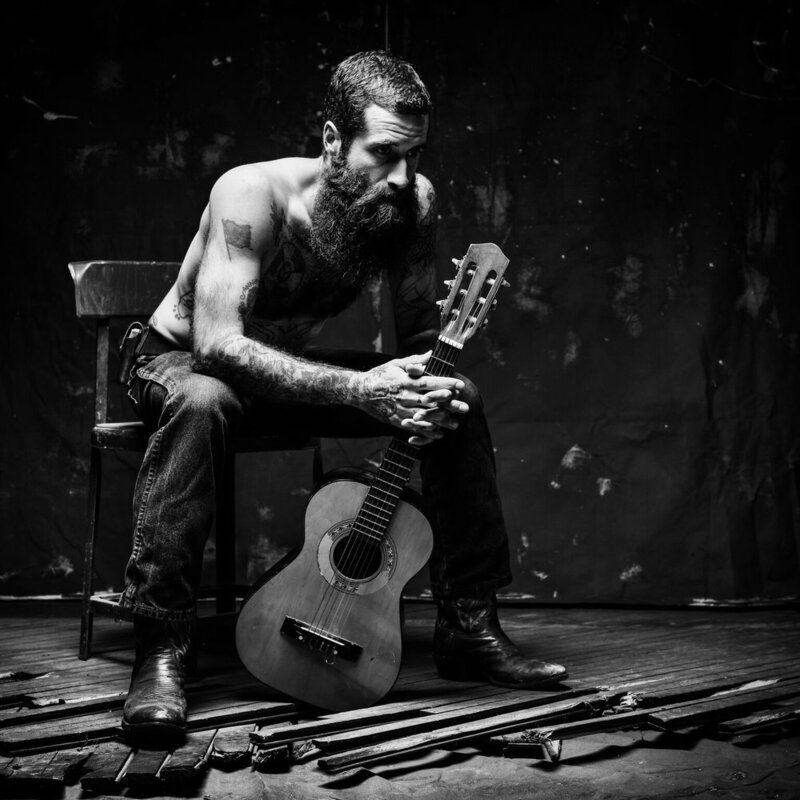 Harris is captured looking like he came down from the mountain; sold all of his pelts, got roaring drunk, hit the tattoo shop and developed a love of animals. Throw in an almost gothic gold on black text and you’ve an album cover as timeless as the music within. Getting to the music (finally) Harris had the idea of sending acoustic demos to a few of his favourite players: Leroy Powell, Chance McCoy (Old Crow Medicine Show), Mark Sloan, Kellen Wenrich and Eric Pollard giving them five days to plot ideas and make notes, but not discuss the songs with the other musicians before they entered the studio with producer Morgan Jahnig (Old Crow Medicine Show) without pre-production or rehearsals. Opening with the hard-driving country rock of ‘JPs Florida Blues #1’ Harris lays his cards on the table with recollections of his days on the road with his band The Tough Choices including the odd driving issue, “It’s hard to tell where you’re going when it’s 85 and snowing. And you’ve powdered your face ‘till you can’t feel”. The pounding drums and swirling organ of ‘Florida Blues’ is a great start and it’s cool to hear Harris calling off the solos, which enhances the live feel, while The Watson Twins add some nicely playful backing vocals. Next up is ‘Lady in the Spotlight’ a very relevant tale with the #MeToo movement in the news as it addresses the darker side of the music industry. ‘When I Quit Drinkin’ finds Harris confined to “drinkin’ at the soda shop” where he comes to the conclusion, “When I Quit Drinkin’ I start thinkin’ about startin’ up again” backed by some terrific interplay between electric guitar, pedal steel and fiddle. The gentle twangy lilt of ‘Long Ways Back’ is just superb — fantastic guitar work — and could have been recorded anytime since the fifties, probably by Willie Nelson, which is obviously a good thing and Harris’ vocal is superb. Timeless and classic in equal measure. The first half of the album concludes with the title track. “Why did I go out looking for answers at the all-night bars with pole dancers? When the truth was waiting in a warm bed back home” just one of many strange questions we‘ve all pondered on I’m sure! There’s no let up on the rest of ‘Sometimes Dogs Bark At Nothing’ from the tasty guitar licks that light up the driving (no pun intended) ‘Hard Road’ while ‘I Only Drink Alone’ sounds exactly like it should due to piano runs you'd expect to hear in the corner of a saloon. ‘Runaway’ is enhanced by a quite lovely Kristina Murray harmony while piano is again to the fore on the melancholy ‘’Miss Jeanne-Marie’. Fittingly the album concludes with a train song ‘Jimmy’s Dead And Gone’. Harris rode the boxcars during his drifting days so he knows his way around a train car “Yeah, you’re goddamn right, I wrote another song about a train” is a fittingly free-wheeling and boisterous way to end a fantastic record. ‘Sometimes Dogs Bark At Night’ is released October 5th 2018 via Free Dirt Records. 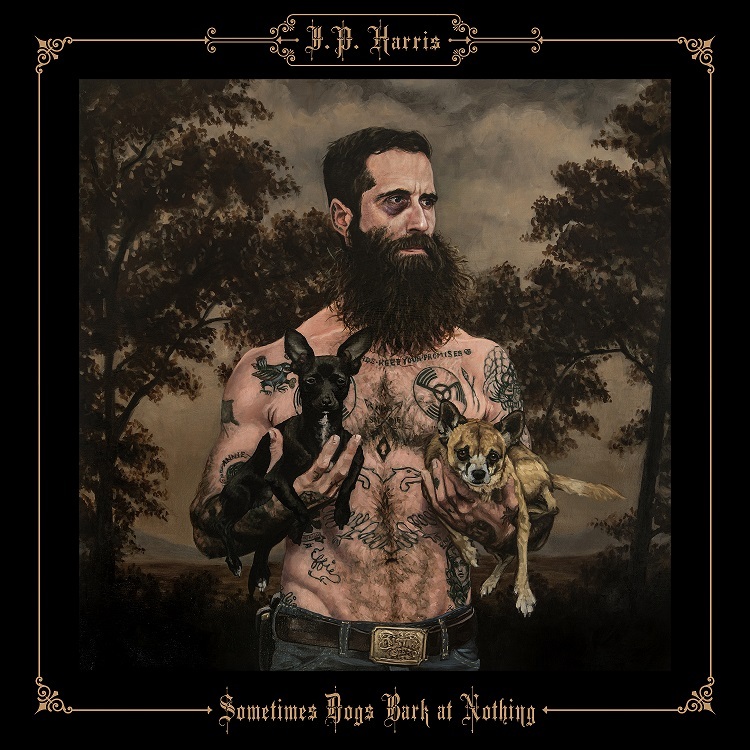 J.P. Harris has a UK tour to follow in November 2018.